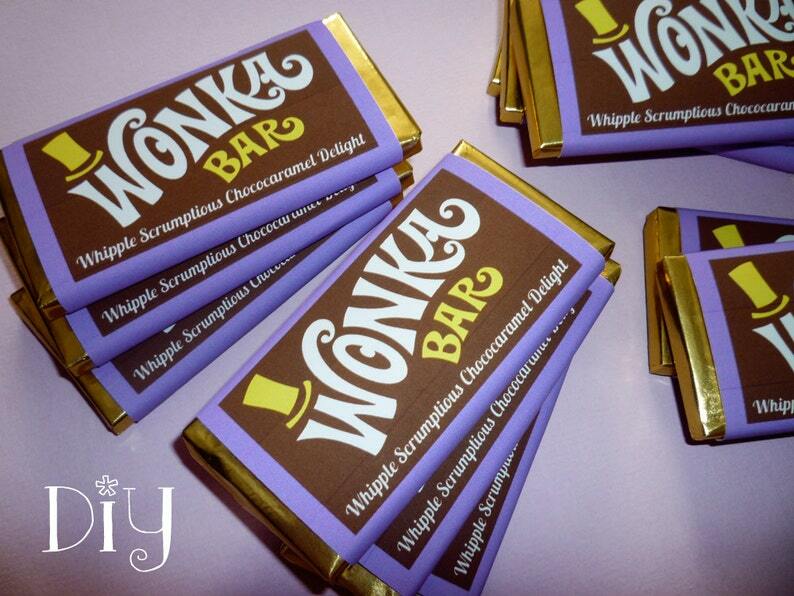 Wonka Bars make the perfect treats or favors for your Charlie and the Chocolate Factory party, Willy Wonka birthday party, wedding or baby shower. 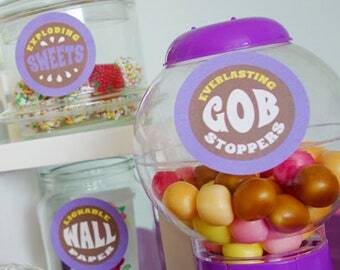 These Wonka labels have purple borders (also available in pink or red).. So easy to use! 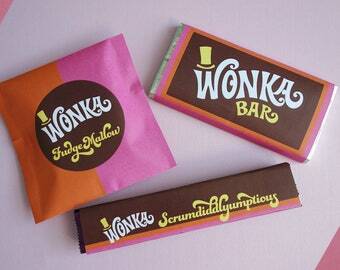 The wrappers are perfect!